Manchester United have handed a new contract to defender Chris Smalling, which could keep him at Old Trafford until 2023. Smalling, 29, has signed a deal running to June 2022, with an option for a one-year extension. The centre-back joined United from Fulham in 2010 and has won all major trophies in English football during his time with the Red Devils, including the 2010-11 and 2012-13 Premier League titles. Smalling was also a key member of the team that lifted the Europa League in 2016-17, completing 90 minutes in the final as Jose Mourinho's team beat Ajax 2-0 in Stockholm. Overall, he has made 307 appearances for United in all competitions, scoring 18 goals. 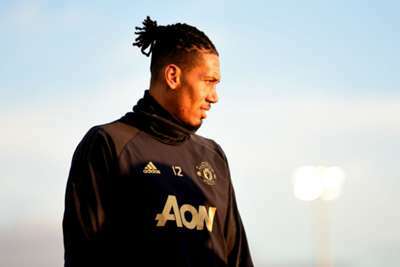 "This is my ninth season with the club and I am delighted to be continuing my progression with this team," Smalling told United's official website. "It is a real honour to play for Manchester United and we are all now concentrating on the busy schedule of games throughout the festive period." Smalling made his international debut in 2011 and has 31 caps for England, although he has fallen out of favour with current boss Gareth Southgate and missed out on a place in the 2018 World Cup squad. "I am very happy Chris has signed a new contract," Mourinho told his club's website. "Chris has been with the club for a number of years and is now one of the senior players within our squad." United travel to Liverpool on Sunday, languishing 16 points behind their old rivals going into the Anfield showdown.